with great religious zeal, across the country on Thursday night. forgiveness throughout the night till rising of the sun. their neighbours, relatives and the poor. night is better than a thousand-month. to guide them on the right path. illuminated with electric lights, candles and oil lamps. 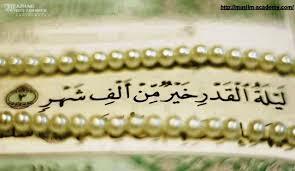 observance of the Shab-e-Qadr, also known as Lailatul Qadr. scholars, its blessings usually falls on the 27th night of Ramazan-ul-Mubarak. However it is better to search it in odd nights of the holy month.